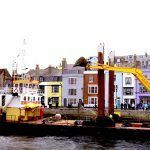 Jenkins Marine have been working for Weymouth Harbour commissioners and the RNLI to undertake maintenance dredging within Weymouth harbour. 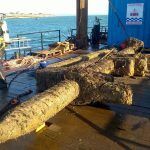 Dredging has been requested for various areas including under the all-weather lifeboat berth where the existing mooring pontoon is currently removed for maintenance works. 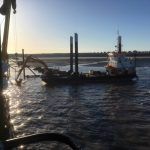 The Self-propelled Spud Leg Pontoon Utility Vessel Doreen Dorward led operations with the assistance of split hopper barges NAB and Needles which were used to transport the spoil to the Swanage disposal site. 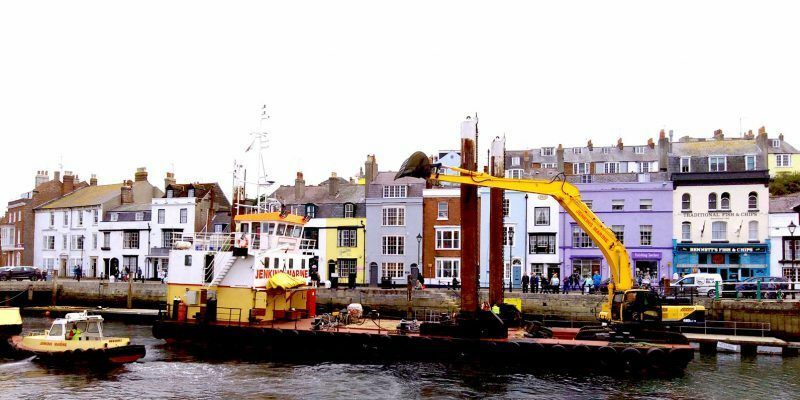 The dredging vessels attracted quite a crowd whilst filling the main navigational channel and dredging in close proximity to the historic lifting bridge. Close co-operation was required with the local harbour authority and other harbour users. Many thanks to you and your team for a great job here in Weymouth this week. It was a pleasure to work with your team who were professional, cooperative and understanding of our harbour and it’s users.